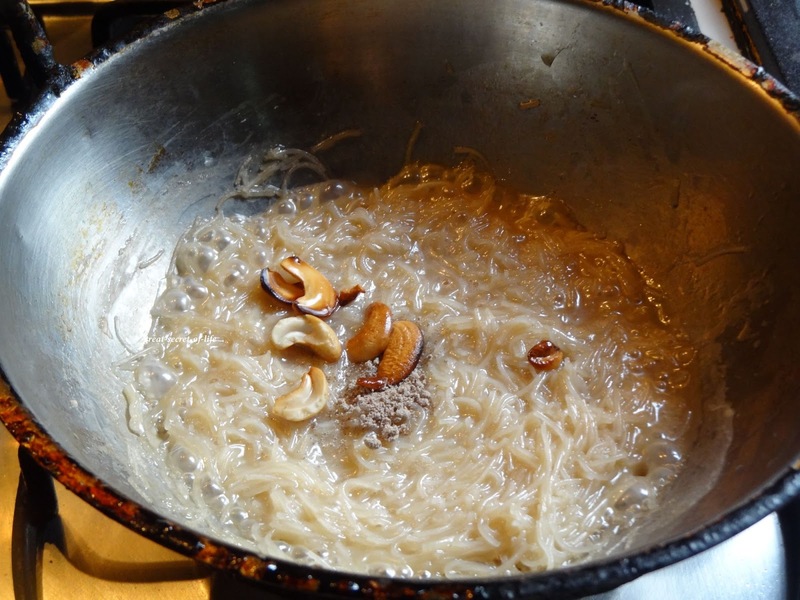 Heat the kada and 1 teaspoon of ghee. 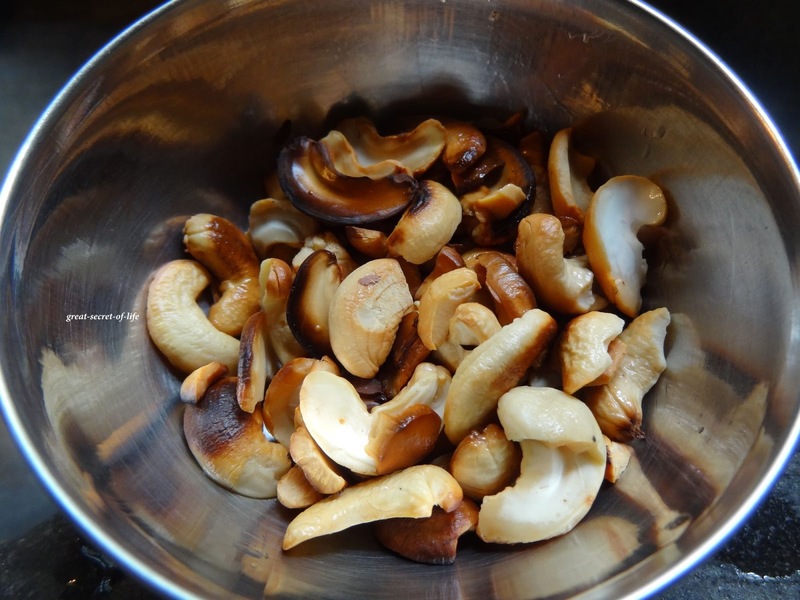 Add cashewnuts and fry till brown in color. Take out and keep it aside. Add rest of the ghee in the same kada. 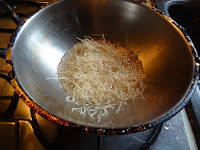 Roast the semiya till it is brown in color (take care not to burn it) I had roasted vermicelli so I skipped this. 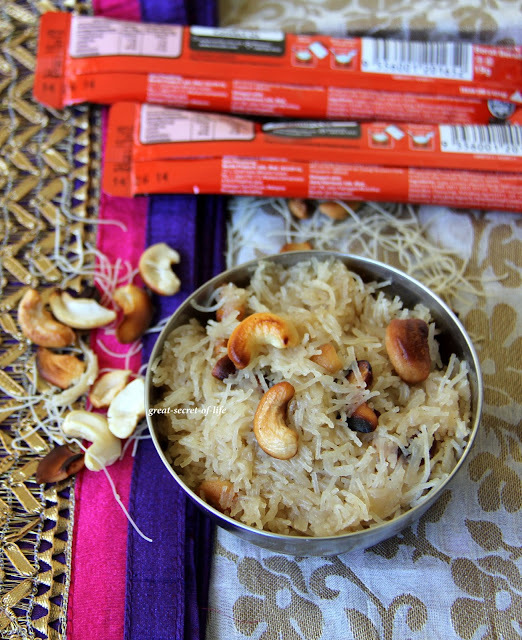 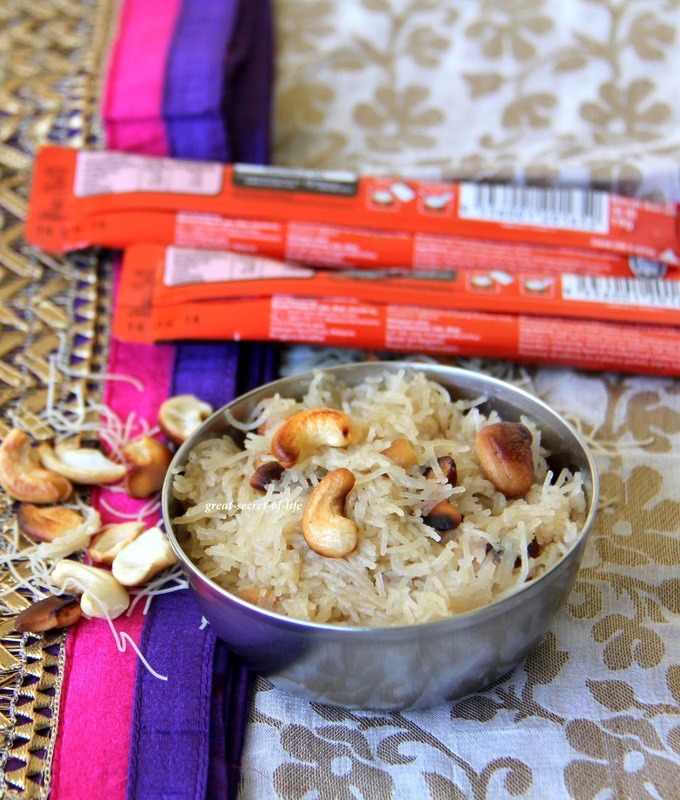 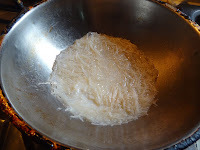 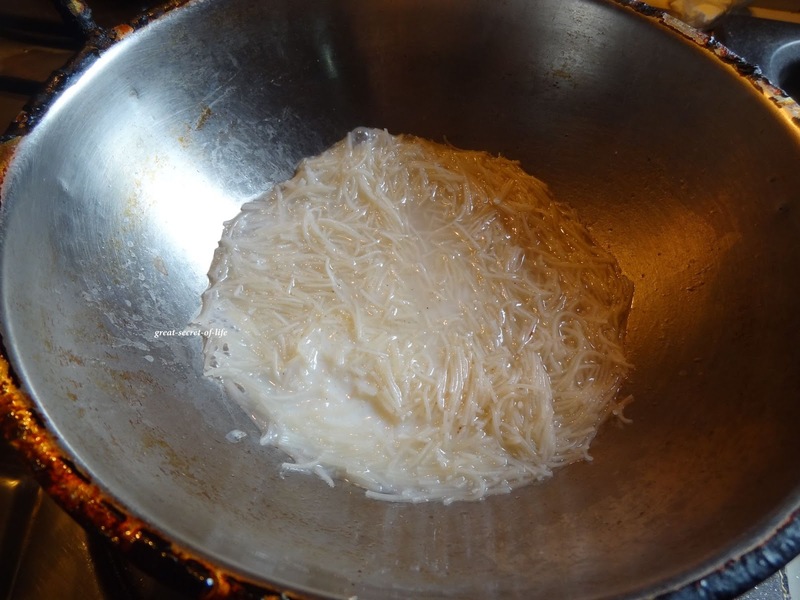 I have never had vermicelli prepared this way...looks super delicious with cashew nuts. 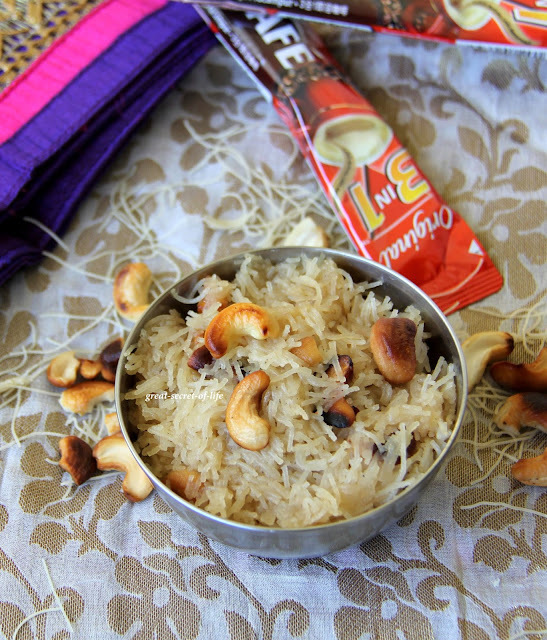 You are tempting me with your click.lovely. yum kesari ;) can i have the bowl? 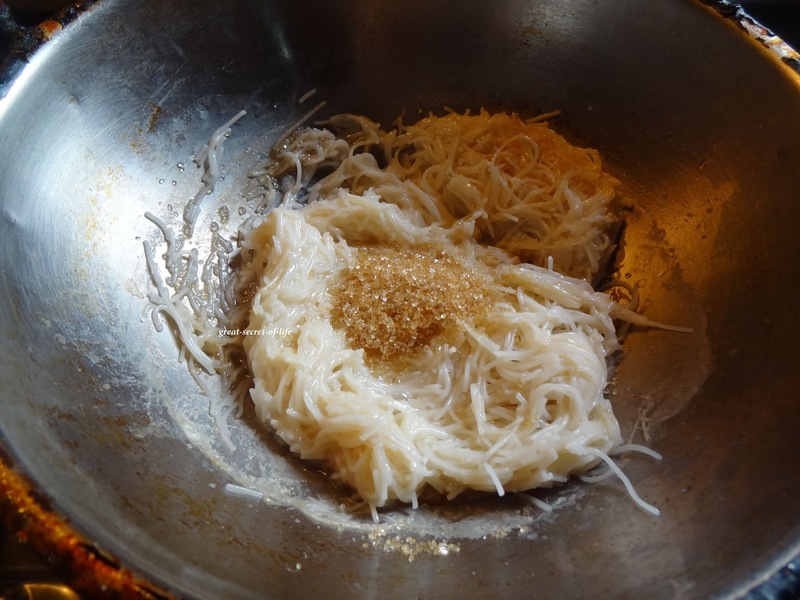 Wish i get a bowl of this kesari, makes me drool.